As businesses begin to take action and address a technological challenge that’s common in many American workplaces – “Why doesn’t my fancy and expensive smartphone get reception here, ever?” – many employers quickly realize that a fix is not an inexpensive proposition. We’ve collectively become accustomed to the notion that even with advances in 4G LTE cell phone voice and data service, certain buildings, offices, convention facilities, schools or hospital campuses pose challenges for cell phone connectivity. Given the ever-increasing reliance many of us have on our mobile devices, keeping us instantly linked to work communications, family emergencies and social media updates, the days of tolerating an office that’s without cell service are beginning to wane. The good news is that employers large and small do have solutions to help empower their employees and visitors (students or patients) to receive full-bar data and voice signals, even in the most signal-deprived locations. 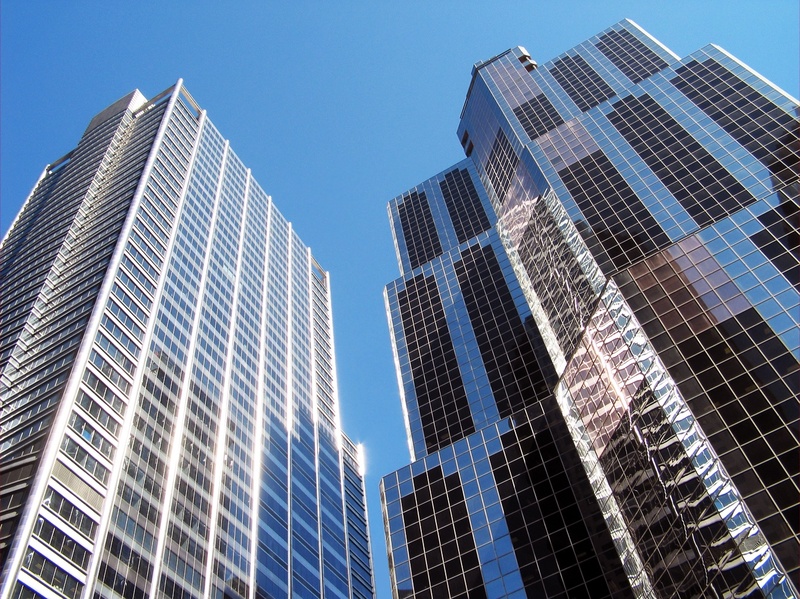 The question quickly becomes one of cost, as two very different technologies exist to help eradicate the lack of cell phone signals in a commercial building. And for employers or building managers looking to provide service and keep capital expenditures down, there’s a world of difference between the two. On a more industrial level – and certainly a great notion when new construction better allows it to be planned into the initial design of a workplace – is the technology known as Distributed Antenna Systems (DAS). DAS uses hard-wired electrical connections to link the services of local cell phone carrier companies (and local utilities) into a system of antennas distributed throughout a worksite or another signal-averse location. If you’ve seen the antennas providing cell service on a big-city subway platform, you’re familiar with one of DAS’s applications. Given the scope of the DAS infrastructure, it’s a major undertaking, requiring an extensive and disruptive project for installation and maintenance, plus the considerations required to officially connect to the various carriers’ services. Some DAS administrators have to make the choice of just one carrier, or make special arrangements to provide connections to multiple carriers. A cellular signal booster is a good alternative for those looking for an easier, less-expensive solution, and one that will also offer the added bonus of being carrier-agnostic, meaning that the signals of all cell phone companies offering active service in your area are all boosted. Providing your employees or visitors a level playing field of access to all carriers offers an added benefit beyond the options of carrier-specific standalone cell phone signal booster systems. 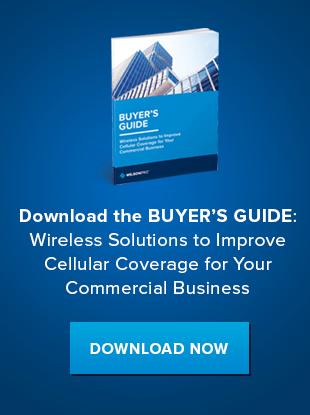 If affordability is one of your primary concerns, here’s the big news: A commercial-grade cellular signal booster can also be less than 10% the cost of a similar DAS solution. Easy-to-use and reliable, cell phone signal boosters now exist to suit a wide variety of applications, with some so simple that they can be set up by anyone with enough tech savvy skills to install a cable modem and a Wi-Fi router. Those systems range in scope from cell phone signal boosters compact enough to work in a car, RV or boat – providing enhanced signals while on the move – to boosters designed for large-scale home use, when tower-to-phone connections are weak. For businesses, more high-powered versions of the domestic cell phone signal booster systems enable full-strength data and voice calls throughout an entire office complex. These systems do require professional installation but their technology makes them self-contained and virtually maintenance-free. When set up, they work to gather and electronically boost all incoming signals from nearby cell phone towers and then distribute them to your employees or visitors. Without elaborate wiring or complicated infrastructure, cell phone signal amplifiers boost existing data and voice signals as much as 32 times what you’d experience without signal enhancement. In reverse, the system also supports uploading photos, texts, emails and voice data from your employees or visitors and boosts those signals for better transmission and reception back to the carriers’ nearby towers. Users will experience fewer dropped calls, and will marvel at the difference the booster makes in call quality and the speed of uploads and downloads – fast emails, and no delays in those all-important social media updates. If you’re hoping to provide much-needed backup connectivity for your employees and their smartphones and tablets while on the job, the affordability of a cell phone signal booster system is certainly something to consider – an easier, self-contained and virtually maintenance-free way to offer equal access to all the cell phone carriers active in your community. If you’re interested in learning more about how Wilson Pro’s signal boosters might be the affordable choice for your workplace, view our products or download our Buyer's Guide.